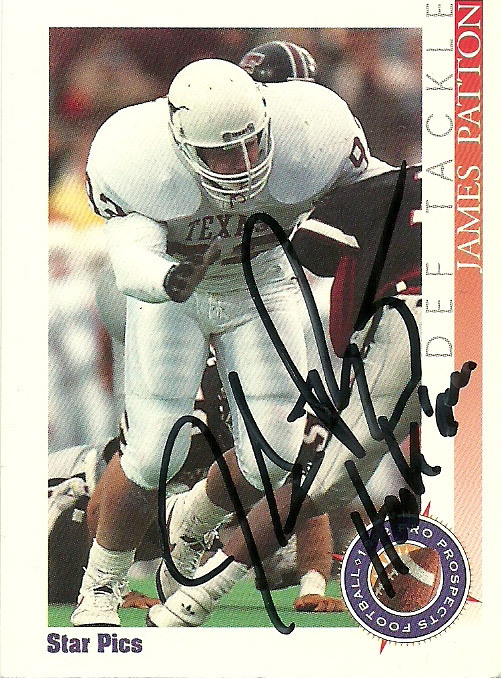 James Patton played at the University of Texas from 1988 to 1991 playing for the school during the David McWilliams epoch. He was part of a pretty studded defensive line that included Tommy Jeter and Shane Dronett. In fact, all 3 players would be taken in the 1992 draft, with Patton going one pick after Dronett during the 2nd round, and Jeter being taken during the 3rd. 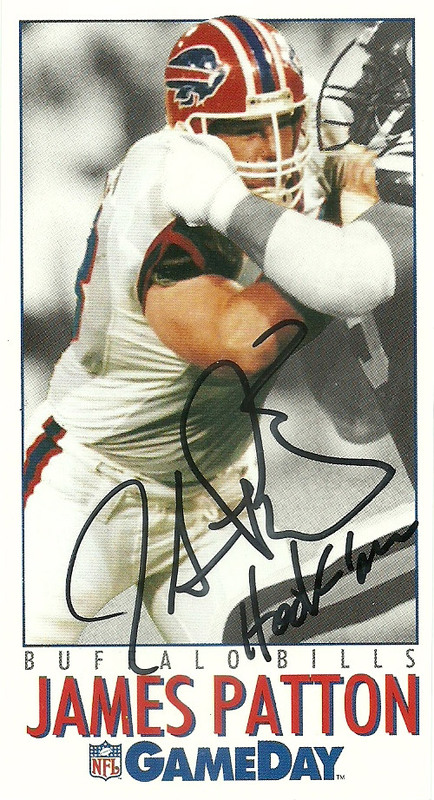 Patton was selected by the Buffalo Bills after two back to back 8 sack seasons in 1990 and 1991. James missed the entire 1992 season due to injury, and then played primarily on special teams during his career. He retired after the 1995 season and lives (as of 2019) in the Austin area.